After all this time, it’s finally official. Macho Man Randy Savage will be inducted into the WWE Hall of Fame the night before WrestleMania 31. Regardless of what anyone thinks of the HOF’s legitimacy, Savage’s induction is long past due. 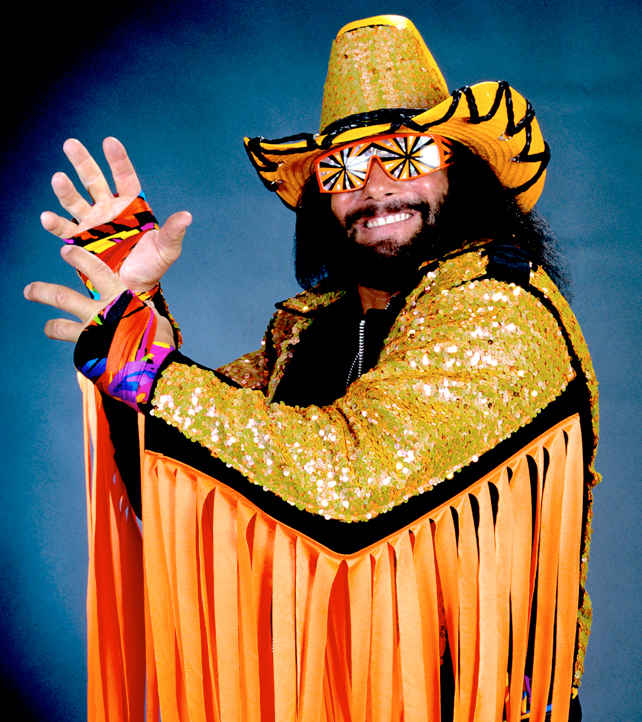 To me, Randy Savage will always represent the moment professional wrestling became a lifelong passion of mine. While channel surfing on a hot summer night in 1988, I stumbled upon a Mega Powers promo and was immediately drawn in as they vowed to bankrupt the Mega Bucks at Summer Slam 88. My mother often found herself watching the shows with me and she was always in awe of the class that Miss Elizabeth exuded and marveled at The Madness and referred to him as a trip. When fans reminisce about Macho Man’s legendary body of work, his classic match with Ricky Steamboat at WrestleMania III, the union and explosion of the Mega Powers, and his first world title win in the WrestleMania IV tournament is often mentioned with deep reverence. However, his time as the Macho King often gets overlooked. One week after he won the crown from Jim Duggan, Savage had a royal coronation in the ring as he sat on a throne with every heel in the company standing behind him as The Genius (his brother, Lanny Poffo), read a proclamation declaring him king of the WWF. Savage’s performance during NBC’s third edition of The Main Event was brilliant. Wide-eyed and out of his mind, Savage warms up with an exaggerated rope a dope and Ali Shuffle as he prepares to trade hands with heavyweight boxing champion James Buster Douglas. The mannerisms got more embellished as he slapped Douglas, played peek-a-boo against the ropes, and turned his back to the champ. Hulk Hogan scored the assist as Savage walked into an overhand right that sent him crashing to the mat. Randy Savage is a perfect example of what a professional wrestler should be. He was great in the ring, captivating on the microphone and had a larger than life character that transcended the industry. He could tell a story with his eyes, sold moves and injuries like a champ and could have a great match with anyone. Congratulations to Randy Savage for this honor because he is truly the cream of the crop, too sweet to be sour, and funky like a monkey. OOH YEAH!